Daisy was writing about Rebecca, a girl who lives in Zambia who had to quit her school after losing her parents. However, thanks to Comic Relief, Rebecca was able to return to school after getting the help she needed. “The message for Comic Relief is to be grateful with what you have but give some of that away to make our world a better place”, said Daisy. Perfect sentiment indeed. Girls and staff dressed up in red, with prizes for the most red pupils. 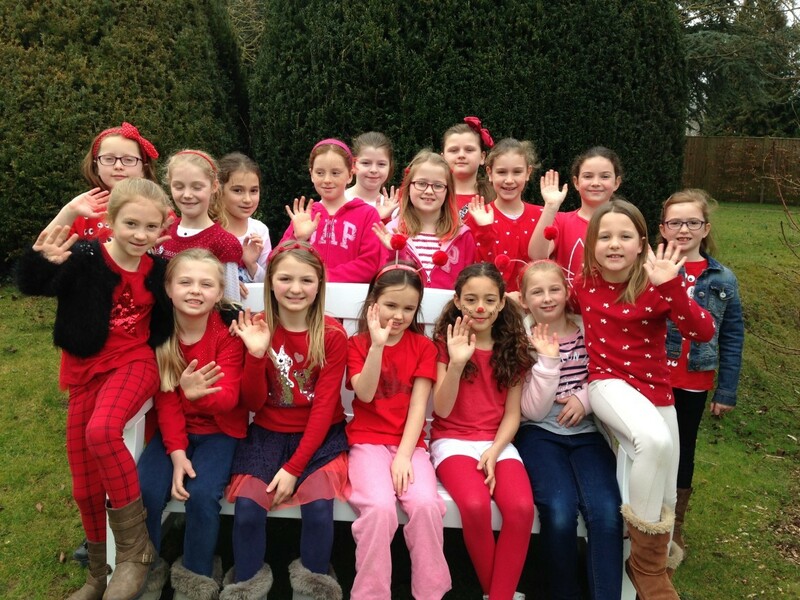 During break time, girls raised money through nail painting, ‘make a red nose’ competition, buying red noses for £1 each and other activities run by our supportive friends group. The total amount raised by the school reached £716.56. A fantastic effort from everyone at Manor House School!